Customer Journey Mapping is a method of identifying the main processes that a customer meets when they have an interaction with an organisation. By spending time mapping the journey a customer actually takes organisations can make changes to their processes which are based on real customer requirements. 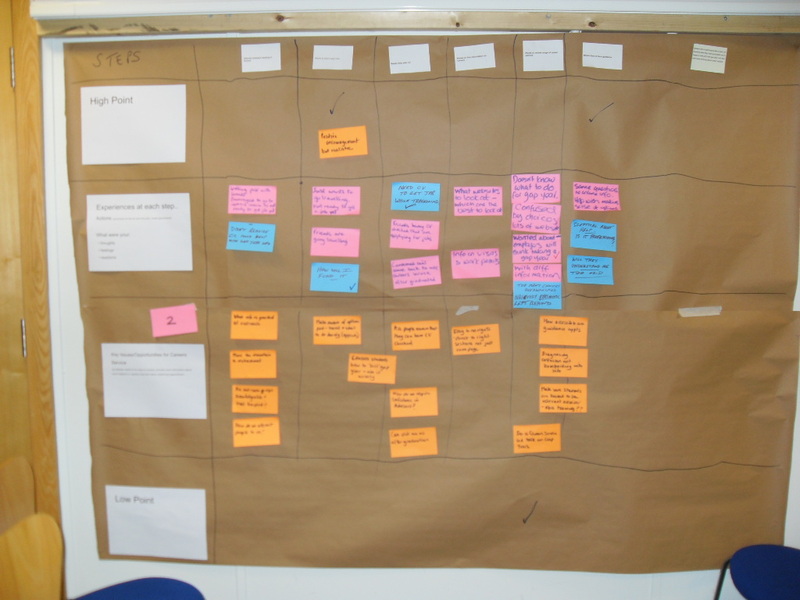 My project involved the careers team from a large University in the UK who wanted to know more about what customer journey mapping was about before they could decide whether to use it in practice or not. The activity I designed was based on some fictional student profiles. These were designed so that the team could explore the journeys of those students who were not current users of the careers service so that they could identify if there were opportunities that were being missed by the service.